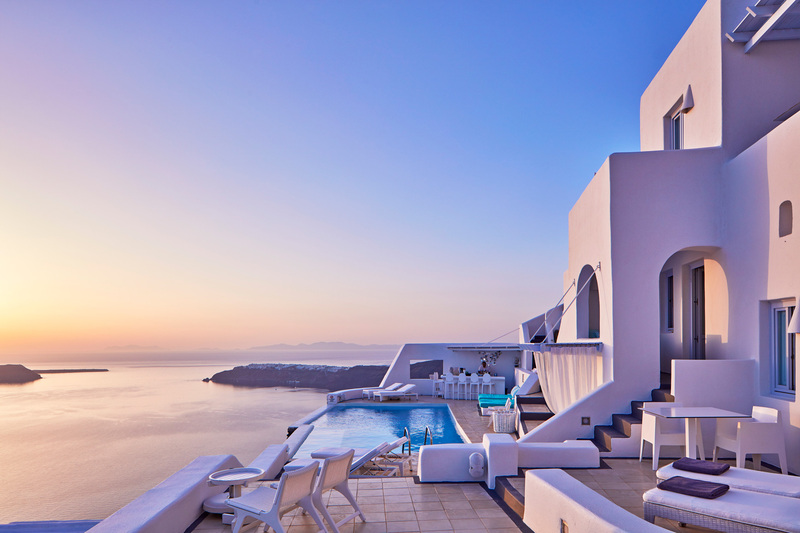 Experience true luxury at the Astra Suites, Imerovigli, the best location in Santorini for enjoying the world’s most breathtaking island sunset. 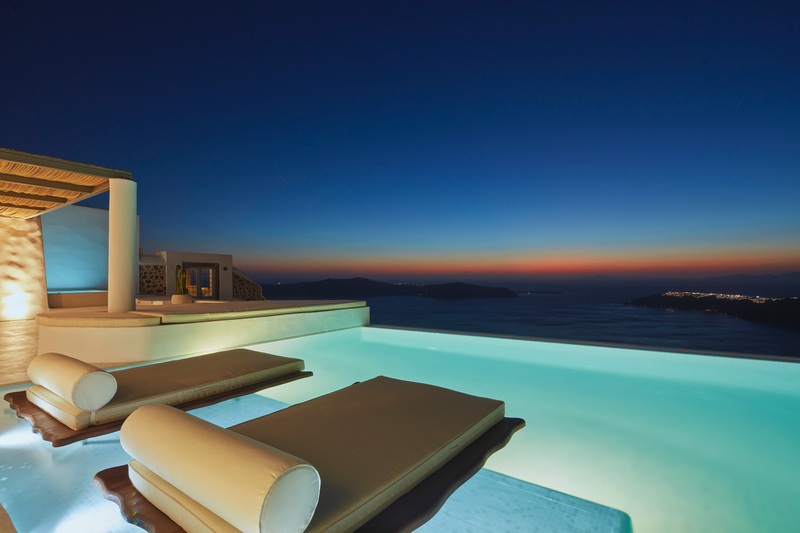 Witness this renowned natural wonder from your own private balcony, swimming pool or jacuzzi, whilst experiencing the warm hospitality of the Astra Suites staff and a range of extraordinary services designed to pamper and delight. Enjoy our stunning infinity pool, indulge at the Astra Restaurant, relax by the pool bar or unwind with a massage in our restorative relaxation area. 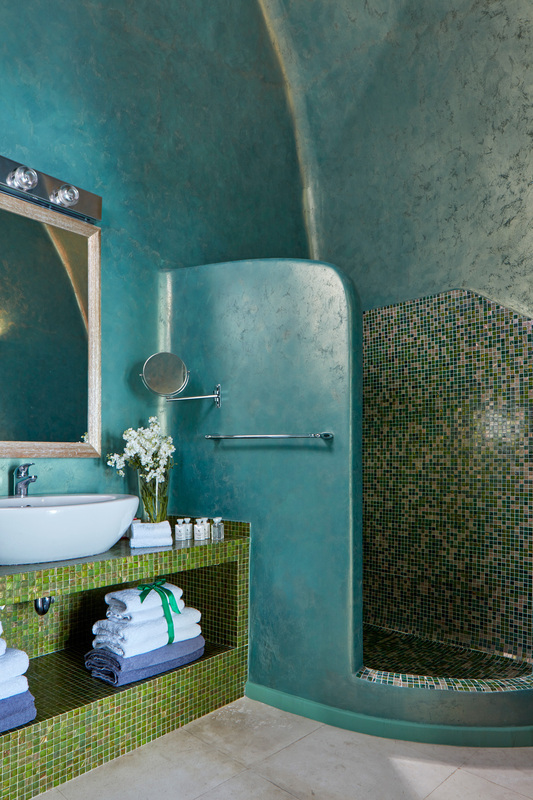 For newlyweds, we offer a range of honeymoon surprises that are sure to make you never want to leave! The village of Imerovigli stretches along the highest peak of the caldera cliffs, offering unsurpassed views of the Aegean Sea, volcanic islets and other nearby islands. 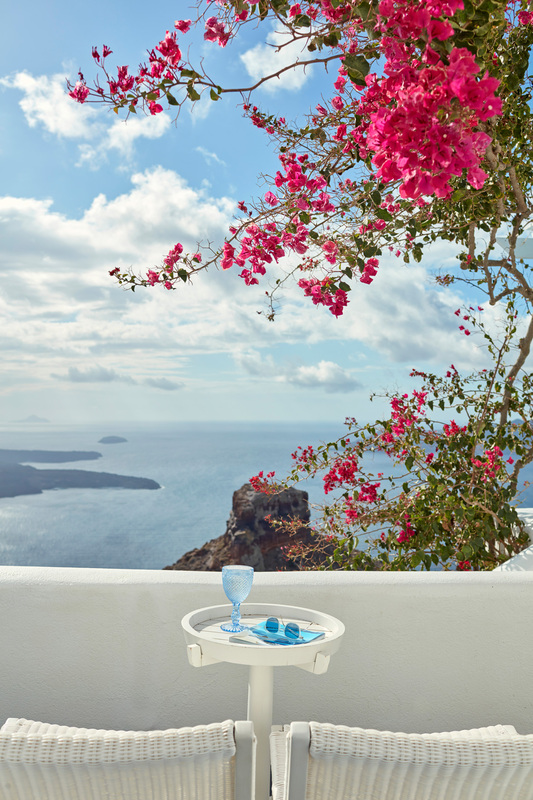 Located only 2.5km northwest of Fira, Imerovigli offers a tranquil escape from the more bustling island capital and is considered to be the ‘residential haven’ of Santorini. Take a relaxing stroll along the white-washed streets amidst beautiful buildings, fragrant gardens blooming with colourful geraniums and the iconic blue-domed Cycladic churches and chapels. 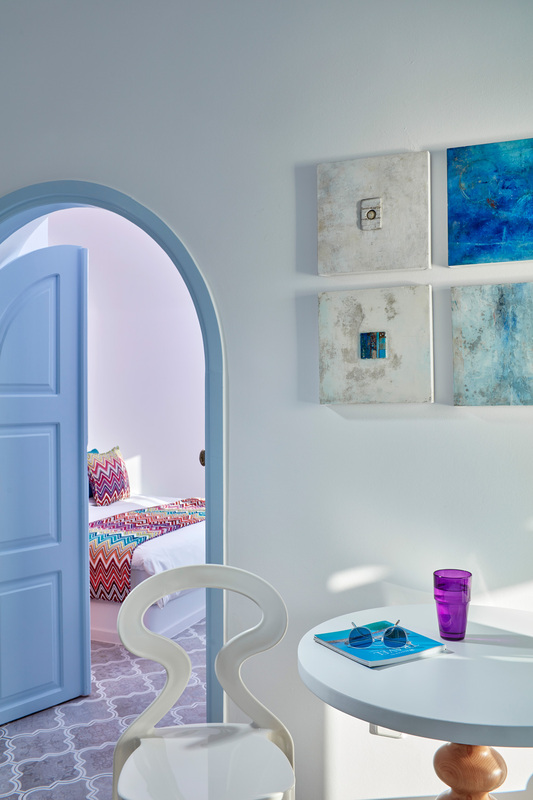 Despite its peaceful setting, Imerovigli is conveniently located for exploring the island of Santorini. Both Fira, to the south, and the atmospheric settlement of Oia, to the north, are easily accessible by car and public transport. 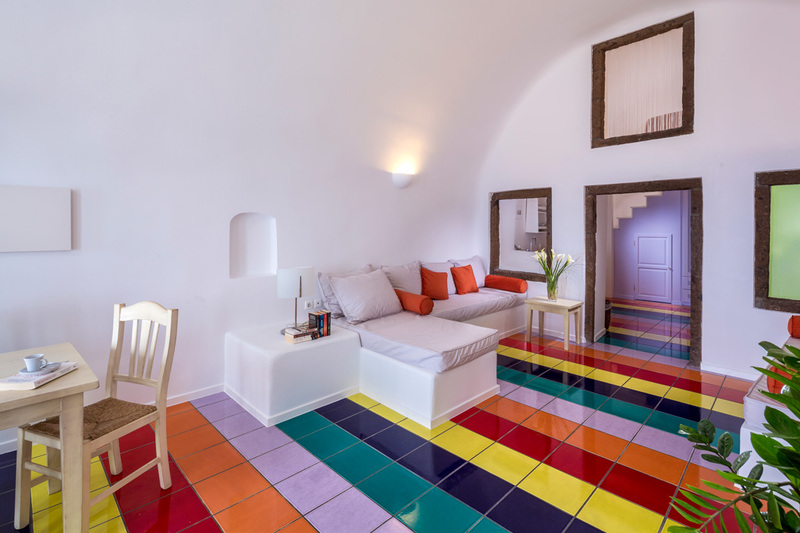 Both towns are also within walking distance along the scenic Santorini clifftops – Fira is just a 40 minute stroll whilst Oia is a more adventurous 2.5 hours. The main archaeological sites of Santorini, such as the ancient Minoan settlement of Akrotiri, the prehistoric city of Thera, and the Castle of Agios Nikolaos are also all easy to visit from Imerovigli. 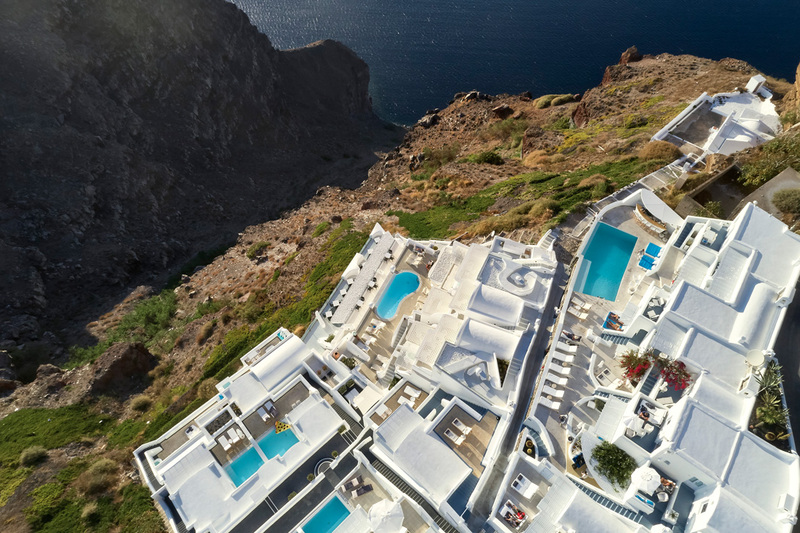 For those who prefer not to travel far, the unique formation of Skaros rock, formerly a Venetian settlement and ex-capital of Santorini, is within walking distance from Astra Suites and provides the perfect location from which to witness the island’s gorgeous sunsets. At Astra Suites, we genuinely believe in giving exception customer service to each and every guest. We are proud to host people from all over the world on our beautiful island, and guarantee a magical stay for all.